To celebrate their 2600th release, TV-Nihon, one of the premier tokusatsu fansubbing group, releases Death Game Park DVD subbed. It is a mobile drama series and an action thriller reminiscent of Kinji Fukasaku's Battle Royale series. Death Game Park stars various tokusatsu actors including Tori Matsutaka (Samurai Sentai Shinkenger), Masahiro Inoue (Kamen Rider Decade), Keisuke Kato (Kamen Rider Kiva) and Hideo Ishiguro (Kamen Rider Den-O). Other stars includes Erina Mano, Nozomi Sazaki and Saki Aibu. Death Game Park is an action thriller drama series in which a group of young adults have been forced to participate in a "death game" for an unknown purpose. Unable to call for help, they have to muster their strength in order to survive and find a way to escape. 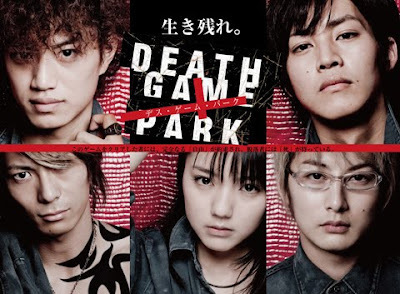 Download Death Game Park DVD subbed at TV-Nihon!